The Rams trail Thornton for the final postseason spot, but other results could extend their season. 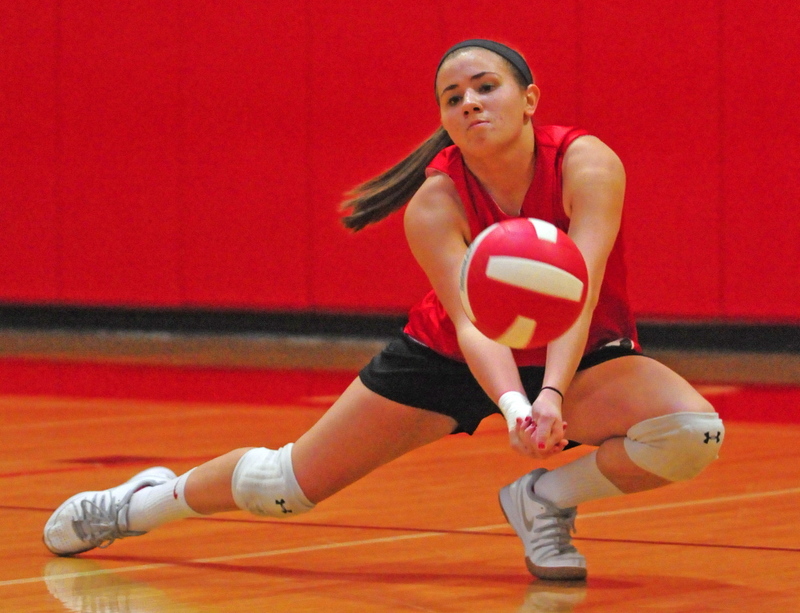 AUGUSTA — Two games remain on the Cony volleyball team’s schedule, but for all intents and purposes, the Rams start the playoffs against Ellsworth on Saturday. Ranked 11th in the Class A Heal points standings, the 3-9 Rams were six points behind Thornton Academy for the 10th and final postseason bid as of Thursday afternoon. Pending Thornton’s match with Biddeford last night, a win at home against Ellsworth on Saturday (11:30 a.m. game time) could get them in. A win at home against powerful Mount Desert Island on Monday would certainly extend their season. The Rams know the task before them is difficult, but they are optimistic. They are coming off a strong performance against Yarmouth, the No. 1 team in Class B. They took a set from Ellsworth in its home gym earlier in the season and tend to raise their level of play against the best teams, especially on defense. That the Rams are even fighting for a playoff berth in the final week of the season is a bit of a surprise. Last year’s team finished 7-8 and made it as far as the preliminary round, then was gutted by graduation. Outside of their four senior co-captains, Russell, Courtney Mills, Erica LaPlante and Kelsey Rohman, and a couple of veteran juniors, the team is comprised mostly of players who started the season with very limited or no competitive volleyball experience. Of the 21 girls on the roster, 10 are freshmen. As the only MPA-sanctioned team in central Maine, the Rams are at a competitive disadvantage compared to the other two dozen teams in the state. Most of those teams are from the Portland area or Downeast, so they are able to play against each other in summer programs and have their players join a variety of club and AAU teams. To try to close the gap somewhat over the summer, Dacus would open the gym twice a week and his captains would organize practices and intrasquad games. The sessions gave newcomers an idea of what to expect and helped build team chemistry. Right now, it seems to be all about getting bigger. The Rams have had their ups and downs in the standings the last few years, but interest in the program has been building. A big win or two to finish the season could spark another growth spurt.